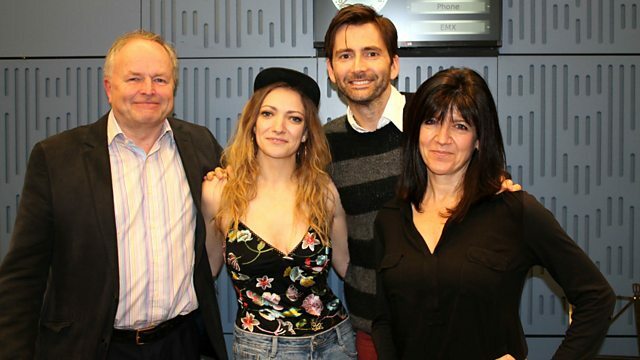 Clive Anderson and Emma Freud are joined by David Tennant, Don Warrington, Kurt Jackson and Lucy McCormick for an eclectic mix of conversation, music and comedy. With music from Rhiannon Giddens and Samantha Crain. ‘Mad To Be Normal’ is in cinemas from Thursday 6th April. ‘Henry IX’ is on Wednesday 12th April at 21.00 on Gold. ‘Triple Threat’ is at London’s Soho Theatre until Saturday 22nd April. ‘Kurt Jackson: Bees (and the Odd Wasp) in My Bonnet’ is at Jackson Foundation Gallery, St Just, Cornwall until Saturday 19th August. ‘You Had Me At Goodbye’ is out on now on Full Time Hobby. Samantha is playing at Broadcast, Glasgow on 28th, Night & Day, Manchester on 30th March and The Louisiana, Bristol on 2nd April. ‘Freedom Highway’ is available now on Nonesuch. Rhiannon is playing at Union Chapel, London on Thursday 30th, Junction, Cambridge on Friday 31st March and Queens Hall, Edinburgh on Sunday 2nd April.